Sadly, there are a lot of new releases I still need to read, but maybe they'll make it onto next year's list! 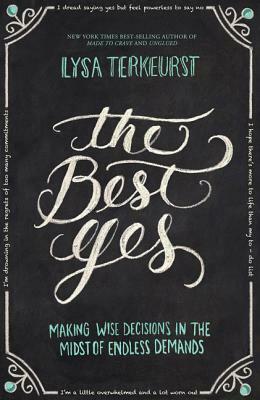 In the meantime, I hope you enjoy browsing some of the books I loved reading this year - and I hope you'll share some of your favorites, too! P.S. 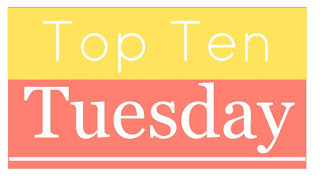 Be sure to check out the main link-up for this week's Top Ten Tuesday at The Broke and the Bookish. Both of these books were vying for a place on the list, so I couldn't resist putting them together! I mean, Five Enchanted Roses and One Enchanted Christmas? They were destined to share the limelight. ;) Five Enchanted Roses is a collection of Beauty & the Beast novellas, and One Enchanted Christmas is a contemporary romance novella. Each of these books is incredibly creative and a lot of fun to read. You can read my review of Five Enchanted Roses HERE. 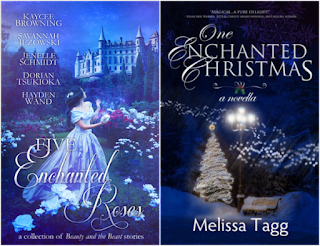 And as for One Enchanted Christmas, which I finished reading the other day, I'll just say that I love Melissa's writing, I relished the adorable romance, and I appreciated the lesson about learning to trust God's work in the lives of our loved ones. All great reads! This one snuck up on me! You know those stories you just want to hug because they're so endearing? This was one of those for me. I enjoyed the sisters' growth and adventures immensely. You can read my full review of this Great Depression-era epistolary novella HERE. Sharon Cameron is the author of another series that made my favorites lists in 2012 and 2013 (The Dark Unwinding and A Spark Unseen). 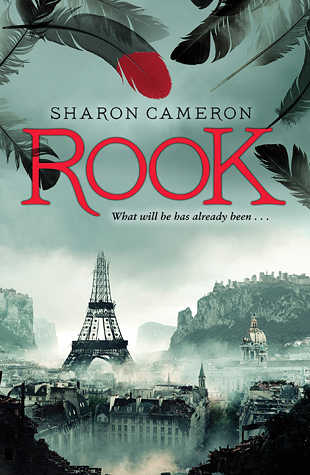 So it was a given that I would pick up Rook - which is a different sort of read, but man, did it hold my attention! It's a futuristic world in which history repeats itself. Quite violent, but very engrossing and thought-provoking, with an intriguing little romance, too. You can read my review HERE. I had the privilege of hearing Lysa speak on the topic of marketing, and I was really impressed by her wisdom and heart. I ended up going out and buying The Best Yes and the Made to Crave Devotional. Both are excellent and encouraging nonfiction reads. Lots of great food for thought! Definitely my favorite of Becky Wade's contemporary romances! I loved the unique premise and personalities in this delightful story of second chances. You can read my full review HERE. I've long been a devoted fan of the Disney version of Tuck Everlasting, but this was the year I finally read the book - which I greatly enjoyed! There's something incredibly thoughtful and charming about both versions of the story. You can read my thoughts (and some great quotes) HERE. Oh goodness...how long we waited for this book!! And it was every bit as satisfying as it should be. I might have to reread the series to determine whether this one or Scarlet comes out the winner of my utmost affections, but let's just say I was quite happy with this EPIC (and I do mean EPIC) conclusion to this futuristic fairy-tale series. Might I add that Winter and Jacin completely stole my heart?? Some of my very favorites of favorites this year were books I read entirely on the recommendation of Twitter friends. (Special thanks to @rachkmc, @Katherine_Reay, and @flowersquiet, especially!) This book was one I read after reading my top favorite of the year, and it was recommended as another amazing epistolary novel. I was not disappointed in the least. I truly savored this read over dinners at Shari's - its cast of characters and the island of Guernsey claimed my heart. It's probably blasphemy not to put this book in the #1 slot. ;) Technically, this wasn't a first-time read for me... I read it once before, back in high school when I most definitely did not appreciate this book as I ought to have. Is it too shameful to admit that I think a lot of it went over my head back then? But I'm so, so grateful that the release of Harper Lee's Go Set a Watchman (which I haven't read) prompted me to pick up this book again. I read it on the way to Disneyland this past summer, and I found myself completely caught up in the story and moved by the portrayals of humanity. So much has been written about this novel, in much more eloquent words than what I can convey in a short list post, but I'll just say that I finally understand why this book is so highly acclaimed and beloved. So much joy and laughter and charm and innocence and wisdom is packed into this fictional collection of letters. It's a read-in-one-sitting story that captured my heart - twice already this year. I found my lovely edition at a used book store and had to pick it up after the recommendation of those wonderful Twitter friends. ♥ I read it the first time at a friend's house, and the second time at a lighthouse bed and breakfast. I imagine this story will continue to warm my heart in days to come. For more bookish fun, check out my Goodreads stats and my Shelfari shelves! Which books stole your heart this year? I'm so honored that AWGF made this list! Thank you! So glad you enjoyed it! 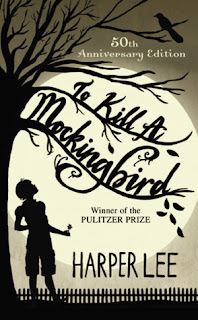 I also read To Kill a Mockingbird this year, prompted by Go Set a Watchman's release. =) I've been wanting to read Daddy-Long-Legs. It sounds like a great book! Gotta Love To Kill A Mockingbird and also The Guernsey Literary and Potato Peel Pie Society!! Ain't We Got Fun has gotten my attention. It is good to see To Kill a Mockingbird on your list. I have read it a few times myself, and I have got to agree with you about it being a different reading experience when a bit older. It just didn't have the same meaning to me in high school. I would put TKAM on my list every year if I could! Such a great book. Sounds like a good reading year! A few of those books have been on my tbr for a while. Maybe I'll give them a read in 2016. What a wonderful idea. Thanks for the list! I haven't read that book of Lysa's yet, I will have to check it out! Oh, I so love the Lunar Chronicles series! And the wait was long and excruciating for Winter...so to find it a satisfying conclusion after all the wait and hype made it a shoo-in for the list. ;) This series is a lot of fun, what with the fairy-tale elements, combined with sweet romance, some sci-fi intrigue, and plenty of action! And thank you for sharing your list, as well! Very cool to see the variety of books on your list. And that's great that you discovered a new favorite author right at the beginning of 2015! I haven't read anything by Dorothy L. Sayers, but it sounds like her books must be very engaging. :) Did you have a favorite among her books? Yay for To Kill a Mockingbird! I'm really glad the release of Go Set a Watchman helped inspire me to read the book again as an adult. Yes - two amazing books, for sure!! Thank you for visiting, and for sharing your list. :) I'm intrigued by Big Magic...and I have Robin LaFever's first book in that series in my TBR list. I've heard good things about His Fair Assassin trilogy! And I so agree about To Kill a Mockingbird being such a different, more meaningful reading experience when you're older! 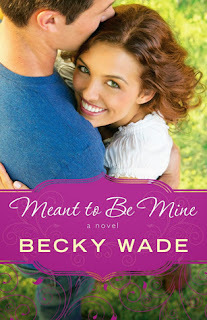 I love Becky Wade's and Melissa Tagg's contemporary romances. So good! 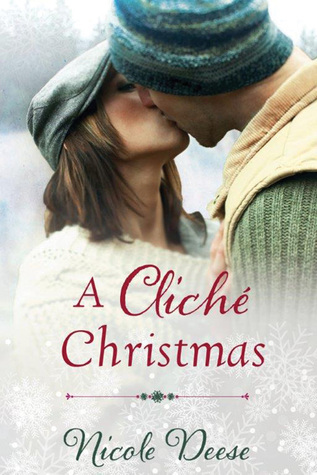 And I think you'd love Nicole Deese's Christmas story! It really was! I hope it was a good reading year for you, as well. :) And I hope you enjoy the ones you're thinking about giving a chance in 2016! Thank you! You're in for a sweet treat with Ain't We Got Fun. :) I just loved the feeling it left me with! Aren't the "Best of" lists so fun? :) They're both challenging and a blast to put together! Thanks for stopping by to check out my list! The Best Yes was a great read - and I'm not generally a non-fiction reader (if I can help it, haha). :) Gotta love Lysa's "sticky statements" that summarize the main points in a poetic way! And her writing is very down-to-earth and empathetic. Thanks so much for following! Welcome! This is a great list! So many pretty covers and lots of great sounding stories. Definitely putting some of these on my TBR. The Guernsey Literary and Potato Peel Pie Society is calling to me from my shelf and I think it's one that I need to read this year. Happy 2016, Amber! Hope you have a great year. I hope you enjoy The Guernsey Literary and Potato Peel Pie Society as much as I did! It's a wonderful epistolary novel with a great cast of characters. Happy 2016 to you, too, Miranda, and thank you for stopping by! 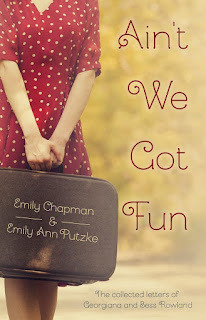 After reading both you and Hamlette's reviews of Ain't We Got Fun, clearly I need to read that one soon. Also, I have Sharon Cameron's series on my shelf, so I have no excuse for why I haven't read those yet. I'm glad to hear you loved Rook! Makes me want to read it even more. Yes to Becky's! 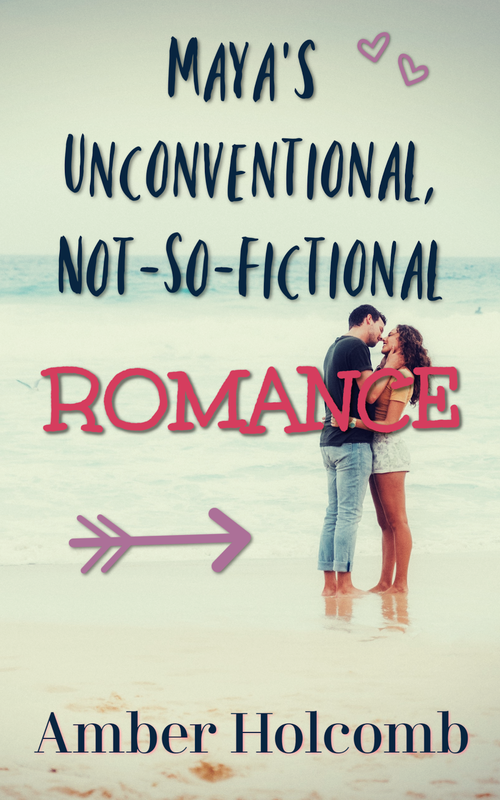 That lady writes some of the best romances around! One Among Men, A Cliché Christmas, Crimson Bound, your honorable mentions are fab as well! Haha, YES to Winter! ;) Can't wait for Stars Above to complete the epic experience that is the Lunar Chronicles series! Ain't We Got Fun is a great little read for when you need a pick-me-up or a smile. :) Hope you enjoy it! And you're definitely in for a treat with Sharon Cameron's books!! Eager to hear your thoughts. Agreed about Becky's romance-writing abilities! 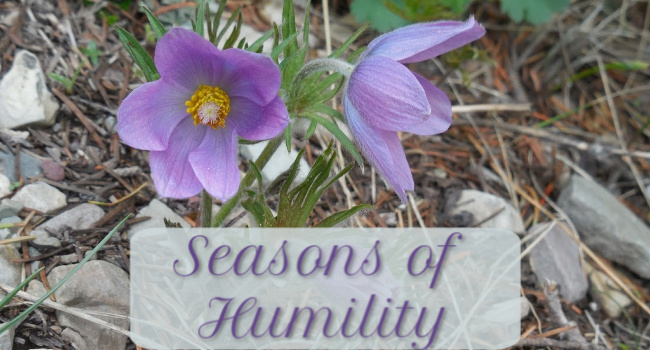 Thank you for checking out my list and sharing your thoughts! Hope 2015 was a great reading year for you, too.